Paula Lyles with her family at a GO FAR family event. 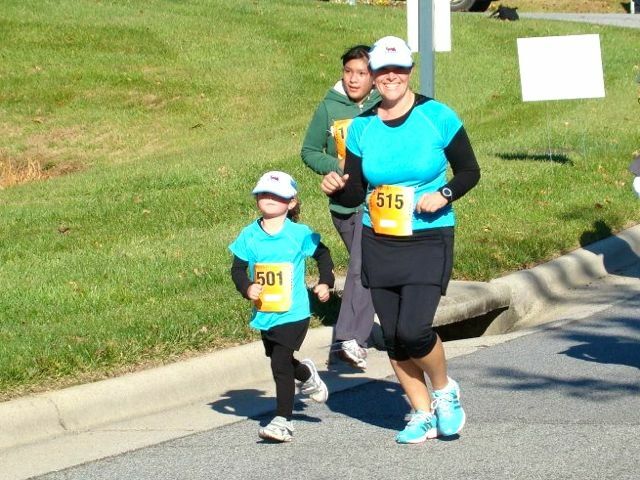 She could have chosen almost any 5K, but when Paula Lyles was a new runner nine years ago, GO FAR caught the attention of this mom with two young kids. Paula had been doing an online running program when a neighbor told her about GO FAR at Southwest Elementary. A mother to 3-month-old Ashleigh and 2-year-old Andrew at the time, Paula started the program on her treadmill during the kids’ naps in fall 2008. It took her much longer than the eight weeks to complete the program’s curriculum. “I was extremely unfit, but I kept at it and repeated weeks until I felt comfortable enough to move on to the next week,” she says. 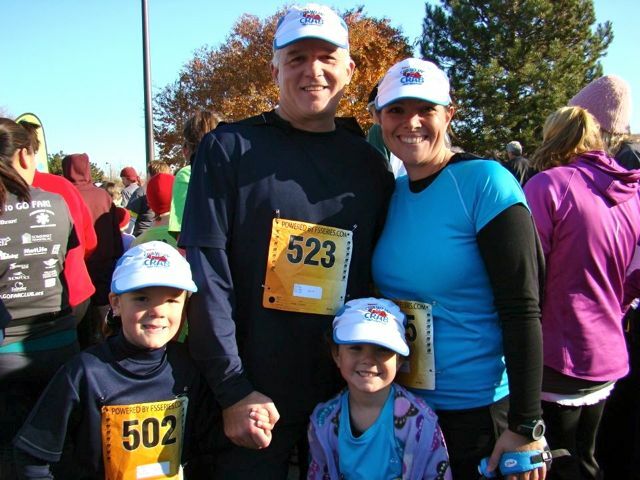 Paula set her goal to run the spring 2009 race, where her family waited at the finish line. “I always tell my friends that the finish line of a race is the most inspiring place you will ever be,” she says. For her husband, Tim, the inspiration was contagious. He decided to start running with Paula and trained with her for the next couple of GO FAR races, pushing the kids in the double stroller. The kids started running the Fun Run and then the 5K in spring 2012. It's become a family event. Paula attended GO FAR practices with her kids at Southwest Elementary School in High Point because they were too young to officially participate in the school’s club. Now Paula has signed on to help coach GO FAR there this fall after becoming a full-time teacher at the school. “It has been hard trying to maintain my running schedule and going back to full-time teaching,” she says. Practices help her work running into her day and motivate students to reach their goals. “I encourage the students to find a buddy to run with, to help them keep pace and push each other to go longer and harder to meet their goals,” she says.